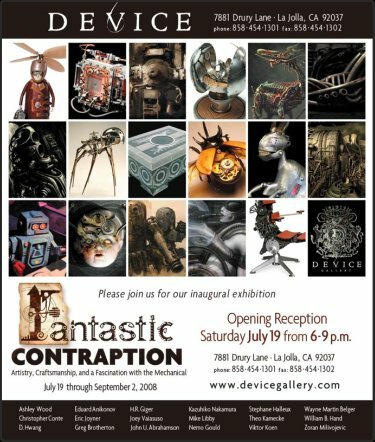 Fantastic Contraption: Featuring 18 innovative artists from around the world whose work explores the mechanical nature of man. 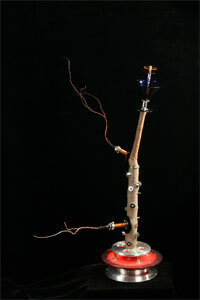 This is Device Gallery's inaugural show. The show includes KineticWorld favorites Wayne Martin Belger, Christopher Conte, Nemo Gould, Stephane Halleux, and Mike Libby, as well as: Ashley Wood, D.Hwang, Eduard Anikonov, Eric Joyner, Greg Brotherton, H.R. Giger, John U. Abrahamson, Kazuhiko Nakamura, Theo Kamecke, Viktor Koen, William B. Hand, and Zoran Milvojevic. 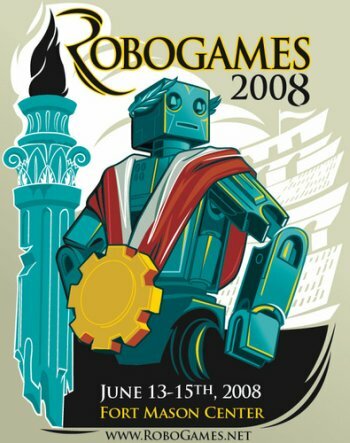 Robogames (formerly ROBOlympics) is the world's largest robotic competition, and it happens in San Francisco every year. This year's event opens today at Fort Mason, and runs through Sunday. "RoboGames is the world's largest open robot competition (even the Guinness Book of World Records says so!) We invite the best minds from around the world to compete in over 70 different events. Combat robots, walking humanoids, soccer bots, sumo bots, and even androids that do kung-fu. Some robots are autonomous, some are remote controlled - but they're all cool!" Hello everyone...I know, I know...I am WAYYY behind on my posts. Sigh. So much to do, and so little me to go around. Anyway, before this comes and goes you need to know that there is a new gallery show called Robotica, and the opening party is Friday the 6th of June (yep, most likely that is TODAY for most of you reading this) in Alameda at Rhythmix, 2513 Blanding Ave in Alameda, CA. Artists will include Al Honig, Simone Davalos, Kal Spelletich, Michael and Christian Schiess, Amy Jenkins, and Mark Pauline. I'll be there, so come say hi, and stay tuned here for a report on the show.